The welcoming cottage design of this rectangular dining table set includes a two-tone finish over select veneers and hardwood solids. 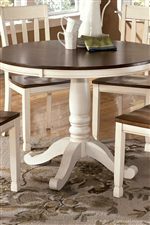 The table top is a burnished brown woodtone finish with a cottage white finish for the aprons and legs of the table. 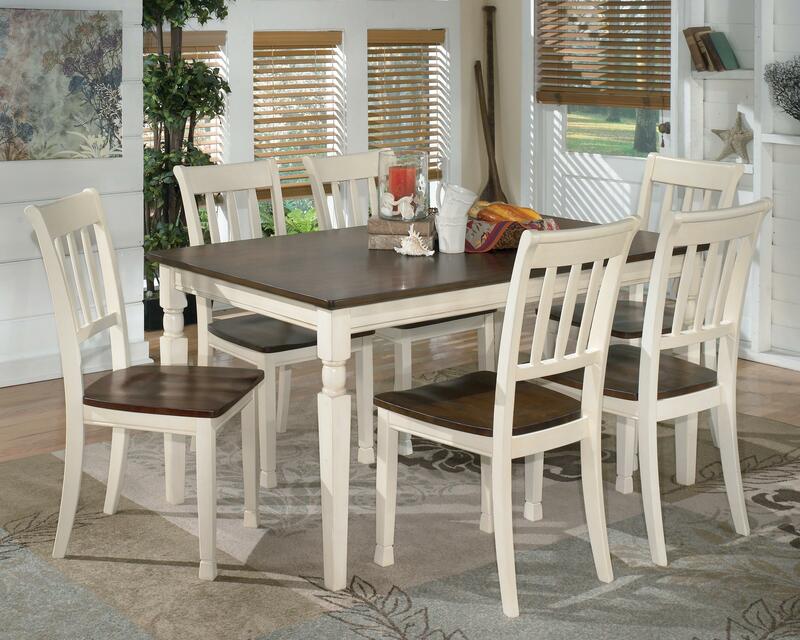 Six slat back, two-tone side chairs provide seating for friends and family at this table. This table is perfect for a kitchen dining area or semi-formal dining space. The Whitesburg 7-Piece Rectangular Dining Table Set by Signature Design by Ashley at Miskelly Furniture in the Jackson, Pearl, Madison, Ridgeland, Flowood Mississippi area. Product availability may vary. Contact us for the most current availability on this product.